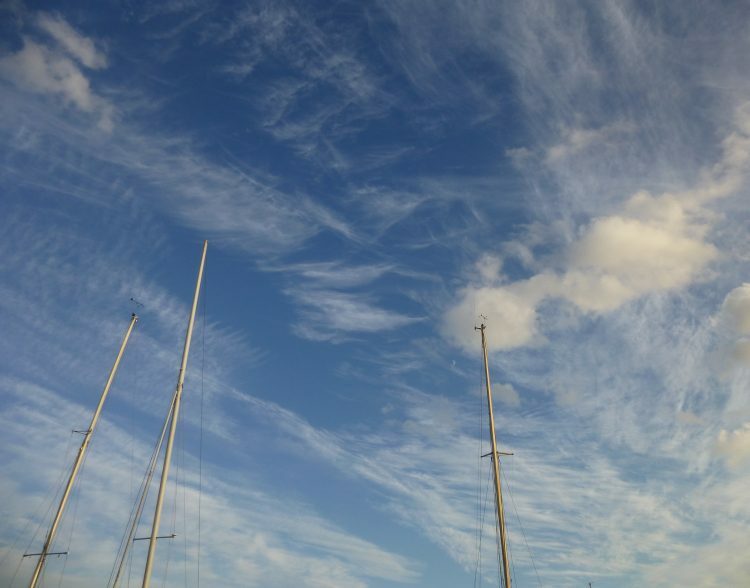 Sitting by the river at Wivenhoe yesterday evening with Graham – wonderful wispy clouds overhead – planning what I hope is going to be our next big venture! I can’t say any more about it YET . . . ! 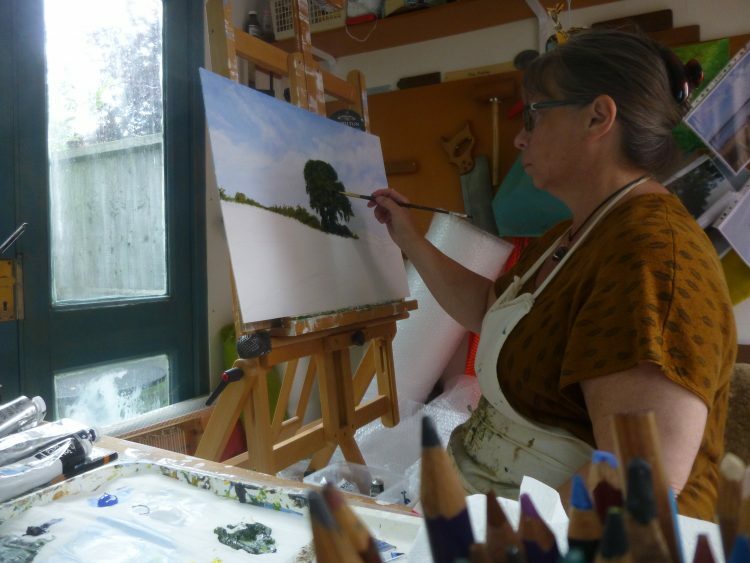 In the studio I’ve been getting on with Fingringhoe Wick: July this afternoon, sitting down on the job. Rather a long way to go still, and it is the first of August tomorrow, but that’s just how it is!